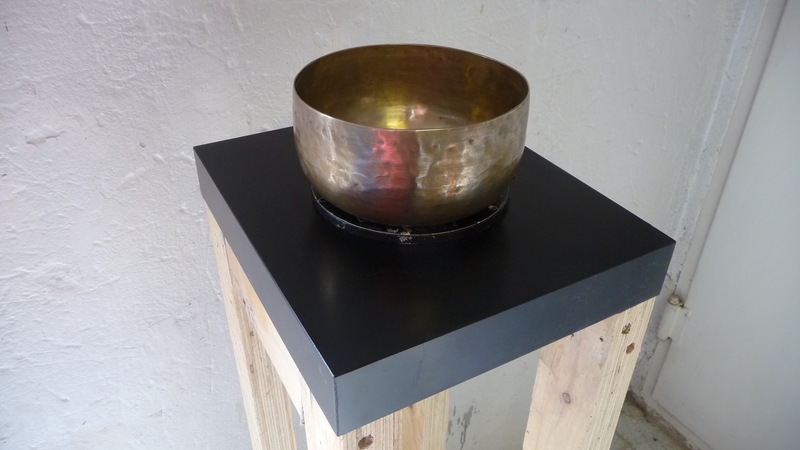 vib || sub is a sound installation that will be exhibited in Galleria Akusmata 17. – 24. April. It consists of three pieces, ”Touchthesound”, ”The Fountain of Perennial Harmony” and ”Eighteen Ninetyeight”. Each of them has a different perspective on subsonic vibration. They also differ from each other in their technical complexity and design strategies. What these pieces have in common is the fact that they operate in the act of the encounter, the effect they impose on the spectator is not easily transferable or mediatable. They have to be experienced in situ. Their haptic and corporeal elements operate on touch or near proximity; in the space, place and situation these pieces occupy, speaking mainly to the body, working within the affective domain, alongside the cognitive processes.